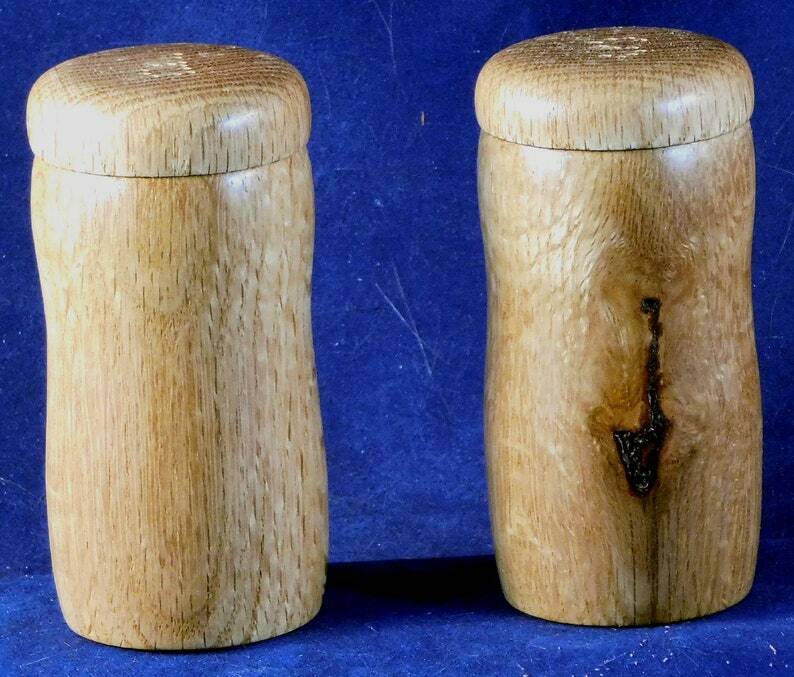 This is a hand made, all wood salt and pepper shaker set made from White Oak with a cork seal. This set measures 3-3/4" tall and just under 1-3/4" in diameter at the base. 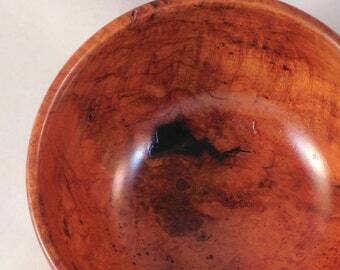 The set was finished with friction polish with a coat of carnuba wax on the outside, unfinished on the inside. The only maintenance is to wipe down with a damp cloth as necessary and a light coat of petroleum jelly or similar on the cork seal to keep it from drying out.